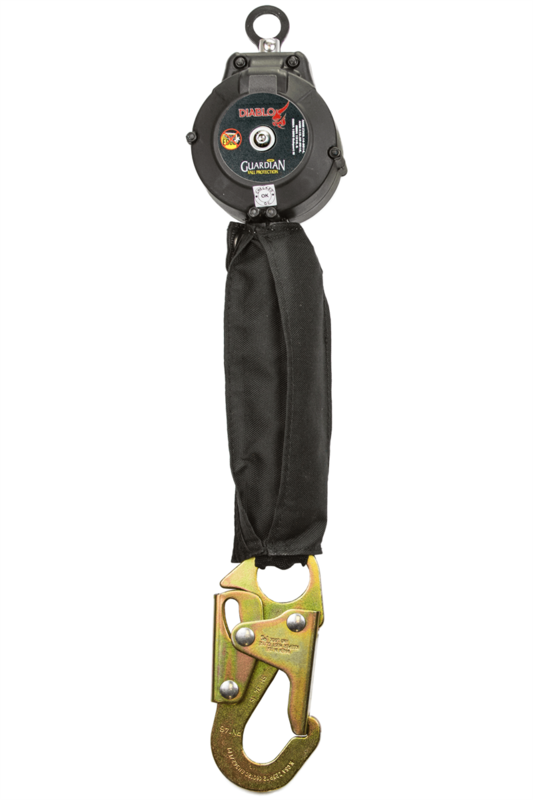 The Diablo Self-Retracting Lifeline (SRL) is back and better than ever. The premier mini-retractable on the market, the new style Diablo SRL is built with an even sturdier housing (secured with six bolts! ), while still weighing in at only a few pounds. Supremely portable, the Diablo can be used with the housing attached either to the anchorage connector or to the worker's back, and can be purchased either as a single unit or in a kit of two. True, most devils will try and steal your soul, but the Diablo will save your life.